She dropped to the ground at the finish line like a sack of flour. 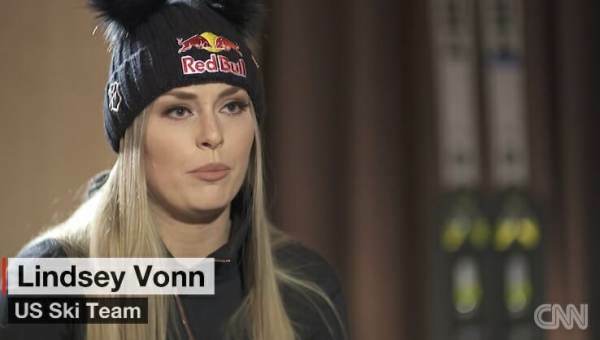 Lindsey Vonn finished a World Cup super-G in extreme pain Saturday and was treated by race doctors for a back injury. The American star crossed the finish line in obvious distress, in 24th place and 1.56 seconds behind the winner, and slumped to the snow. She compressed her back on the fifth gate, according to U.S. Ski & Snowboard.